To stick to the tight Fire Prevention Codes and Building Codes set by your business, the State, industry or home must give suitable, conforming, appropriate Exit devices, to always keep your family, occupants and employees safe, in case of an emergency. 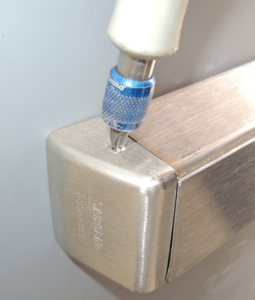 This type of door latch is needed when installed to a fire door that is offering a smoke and fire barrier to the opening. Now swinging fire doors needs to have the ability to self-closing, and instantly latching after every use automatically. The door might be latched, just like a Panic door, however, ought not to be locked whilst people are inside the building. This should consist of a door latching set up, with an activating gadget that will result in the door to unlatch as well as open directly towards egress opening, once a force is employed. 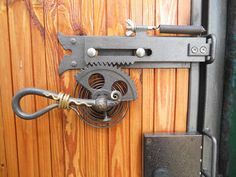 The approved or accepted building codes state that it the panic approved handle need to have an unlatching force of as much as 15 pounds, and be opened by any person without competency, training or effort. It made use of in stairwells, must surely meet the strict building basic safety codes. People using the stairs, if there is an emergency, need to always be able to go away from the stairwell as well as enter into another corridor or room, the door should not lock to stop them this access. To date, there are three popular types of exit device being used today, rim lock, mortise lock, and vertical rod. The former is the most popular type, being called after a latching mechanism the just like the rim locks sold in the East and Midwest during the early period of the 20th century, these types of rim locks are surface installed onto the secured portion of the door face, with a bolt or latch that slides on the mounted strike surface. 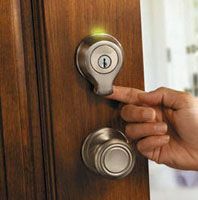 The mortise lock exiting device is made up of a mortise lock with no deadbolt, mounted in the door pocket always. 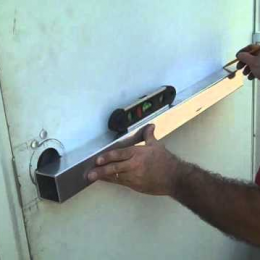 It is an accepted requirement that each exterior exit doors, as there are occupants inside the building, must open without requiring any tools, keys, special equipment, or specialist knowledge. 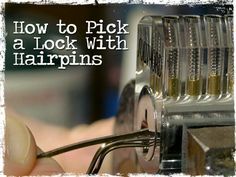 Any kind of locks or security devices which are not approved has to be replaced and removed with those that comply with regulated building codes.